I understand that Samsung developed the new nature/human design of the S3, but this is getting ridiculous. One cannot tell the difference between the Mini, Premier, S3, and the Note 2. Yes, obvious size differences between the Note 2 and Mini, but they all look almost identical. Very iPhone "ish". I'm not hating since I have a Note 2 on order from Verizon, but give the design a break and make something different looking. 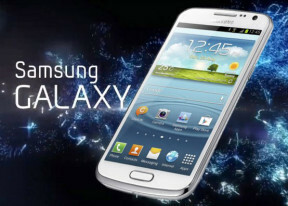 Is this meant to be a replacement for galaxy nexus?